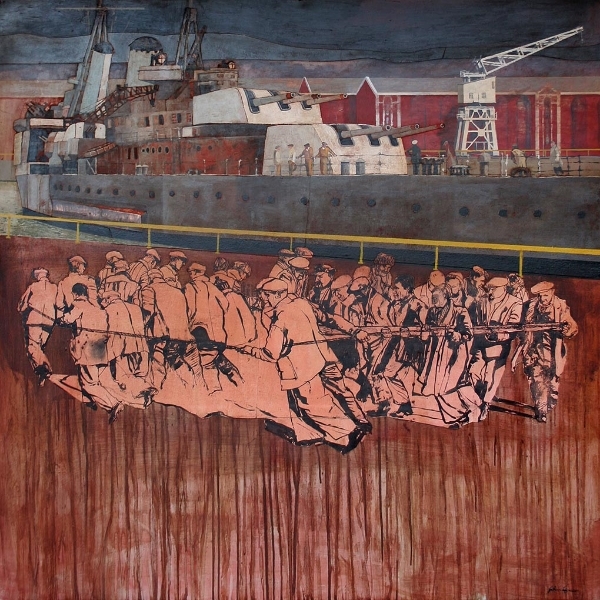 John Green, a typical product of the raw life of Portsmouth’s city streets and its historical dockyards, creates the most exhilarating, colourful, and deeply informed paintings of a tough job as a dockie rigger in the post-war docks. Every image is terrifically strong, powerful and temptingly tactile. 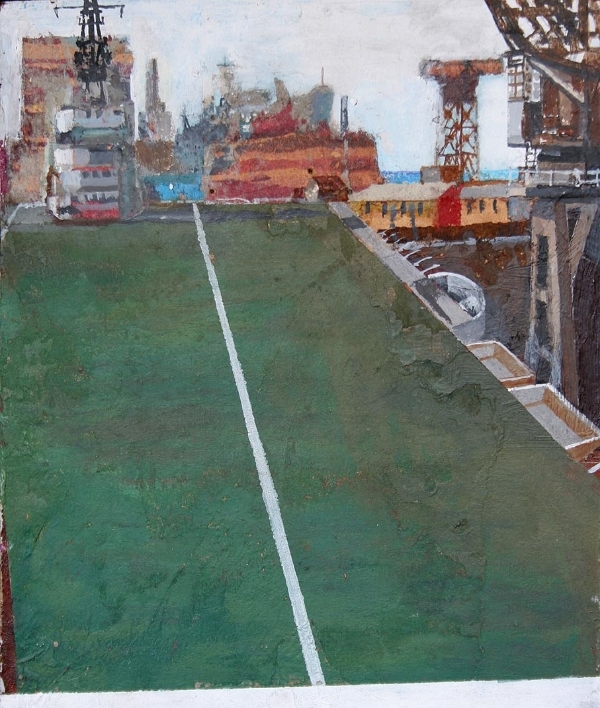 Huge stadia like dry docks, and their equally massive resident imperial war machines are the backdrop to the everyday lives of a host of carefully choreographed groups of workers (John’s mates) – each treated with an almost Hogarthian observation of character and trade. Indeed the cocky, combative Old Master would be proud of his legacy. 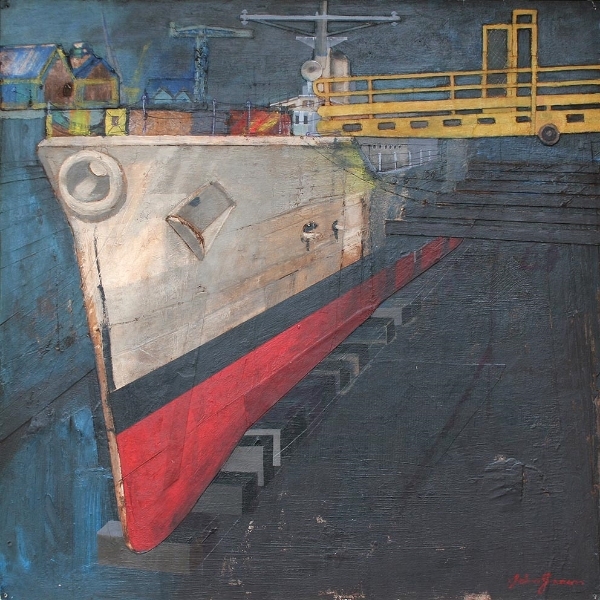 It is the marvellous mature art of a big vibrant seaport. 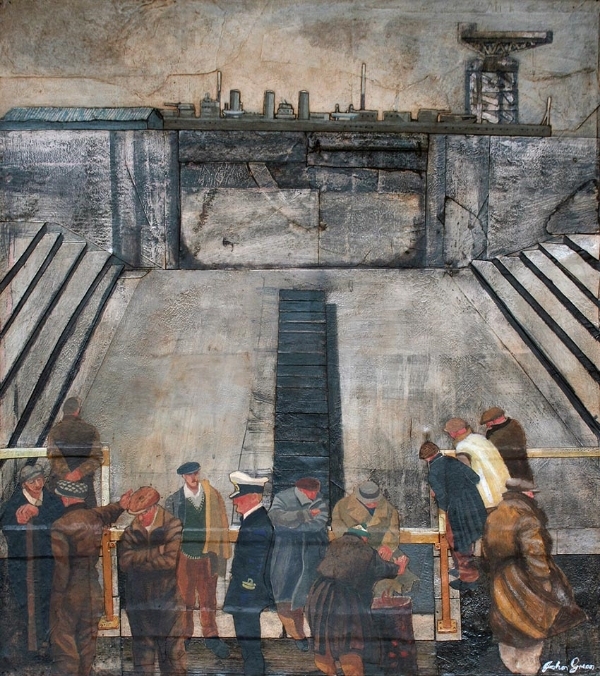 We have a large selection of John Green works available and are the only gallery that stocks John's work. We are currently trying to record and catalogue all of John's output but he is and has been a prolific artist and it's an enormous job. If you wish to see just a bit of what we have available click here.